French skincare brand Darphin created a major social media buzz with their latest influencer event at Ladurée in SoHo. Not only the brand presented some of the most anticipated (and instagrammable!) 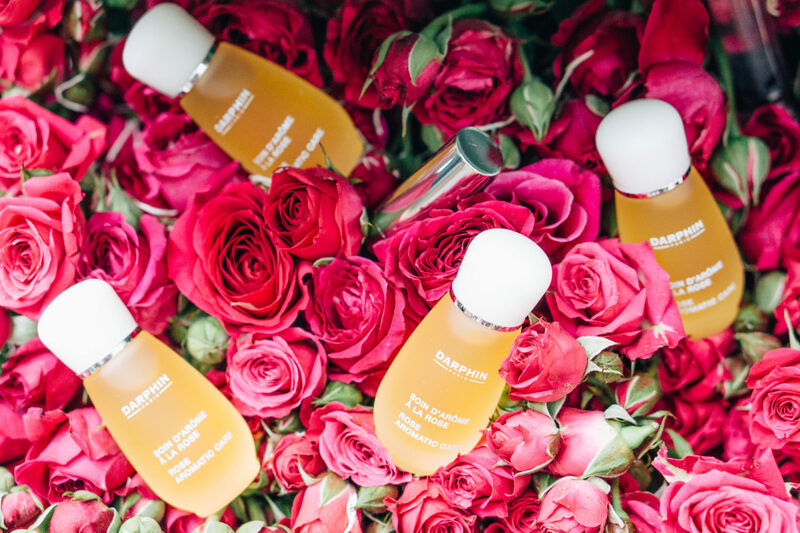 products like rose petals infused lip oils and dual face mask, but the event with its entire Parisian market vibe was one of the most unique and memorable launches of the season. I was lucky to be one of the view attending Darphin event in SoHo and what’s what I saw. For starters, can we talk about the location? A friend of mine had a wedding at this location a few years ago and this spot always will have a special place in my heart, but even without my nostalgic feelings toward Laduree, this place is the chicest hot spot in the city. Not only they serve my favorite dessert (macarons, of course! ), but they do it with elegance and style that I admire. 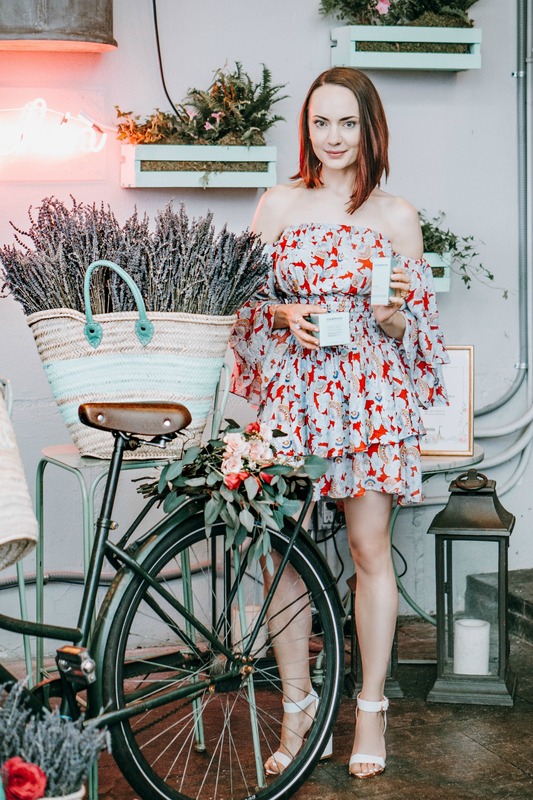 For their influencer launch event, Darphin decided to recreate the Parisian market experience, with boxes of produce and fresh flowers on display and things like a lavender decorated bicycle. Looking at the cover shot of this post, you probably think that I’m excited to try my croissant (which is also true), but I’m just standing in the cloud of lavender scent that reminds me of Europe. 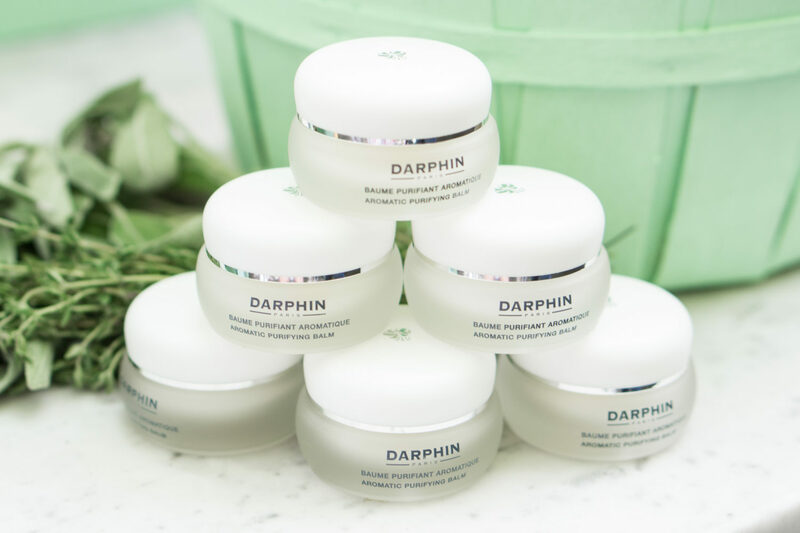 In case you don’t know, I grew up in Russia, and Darphin has always been on my radar ever since I started taking care of my skin at the age of 12. 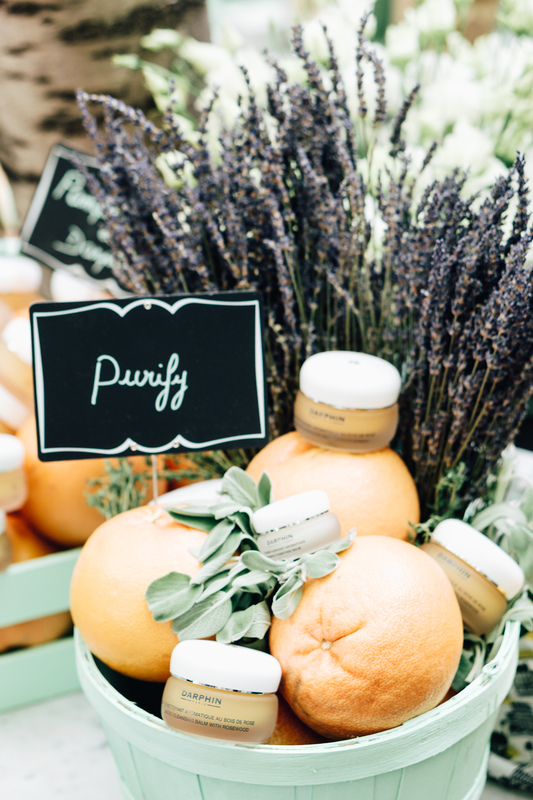 Russian women are generally looking into French skincare, but when the brand combines French beauty knowledge with the use of most precious botanicals and natural ingredients, that’s how cult skincare products are born in Russia. Knowing about brand’s heritage (it’s been established back in 1958 by Parisian kinesiotherapist Pierre Darphin) and approach to creating highly efficient skincare products, there is no explanation needed for why the brand is so popular in my native country (and across 45 countries worldwide). Back in my hometown and while traveling, I also had a chance to experience a few signature Darphin facials. 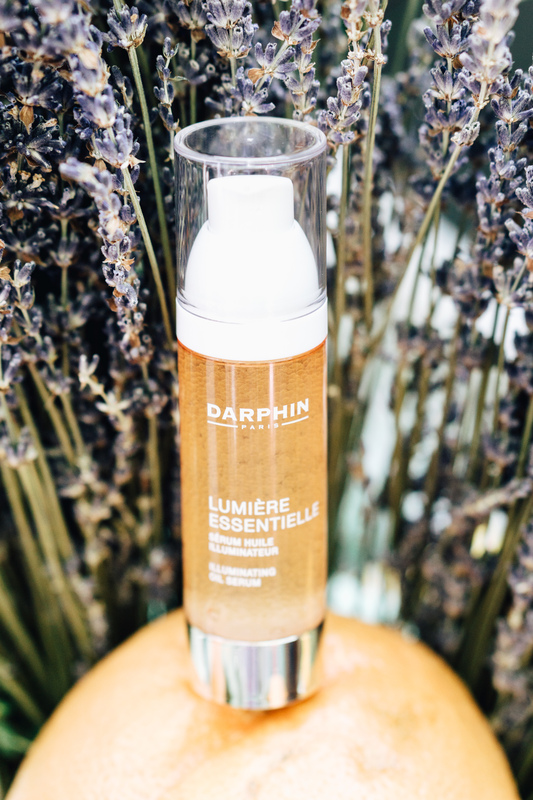 The aromatic formulations of French brand’s products are what makes Darphin facial so special. 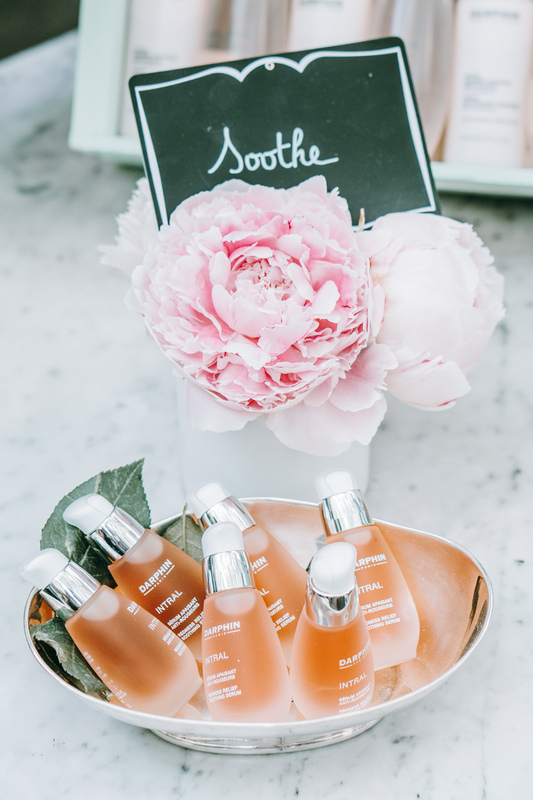 While you are receiving the most effective treatment for your skin, thanks to the botanical blend of aroma oils and natural ingredients you are also enjoying the process from a sensory standpoint. 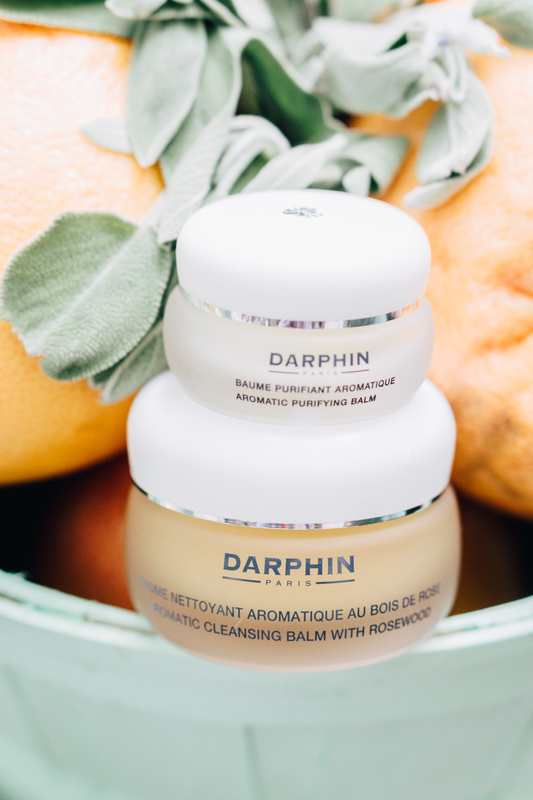 With beautiful aromas surrounding you and the use of softest product formulas, Darphin facials are known for their therapeutic effect on both your skin and soul. One of the exciting launches presented at the Darphin event was brand’s partnership with French luxury textile brand Maison Baluchon. 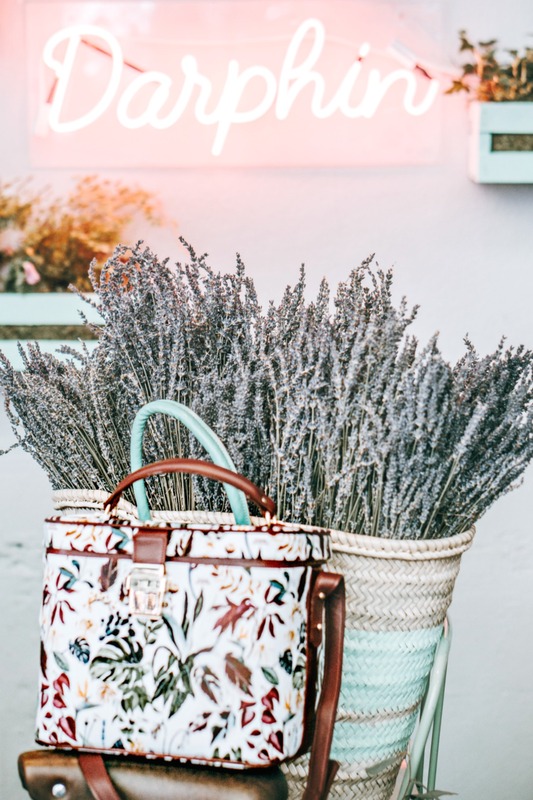 Known for their statement prints and attention to detail, Maison Baluchon collaborated with cult skincare brand on an exclusive beauty vanity case that is entirely made by hand and is designed for sophisticated travelers. Inspired by the brand’s botanical palette and Pierre Darphin’s vintage vanity case, this ultimate travel accessory is designed to secure all of your treasured skincare products while traveling and keep in place while on vacation. The Darphin x Maison Baluchon beauty vanity case takes about 3 weeks to manufacture and could be ordered online at the Maison Baluchon website. 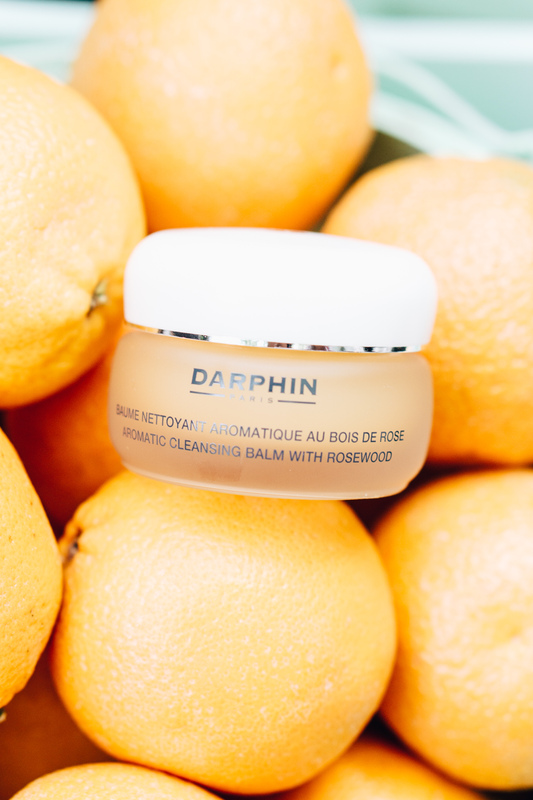 In addition to this designer collaboration, Darphin presented a few new beauty launches. 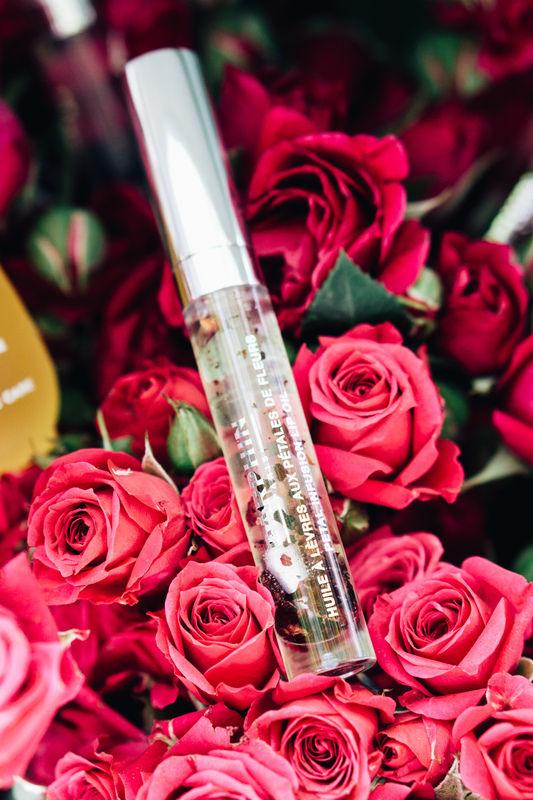 I already mentioned the collection of lip oils that contain botanical petal infusion—and let me tell you that after receiving one of the lip oils from the collection I couldn’t stop wearing it. 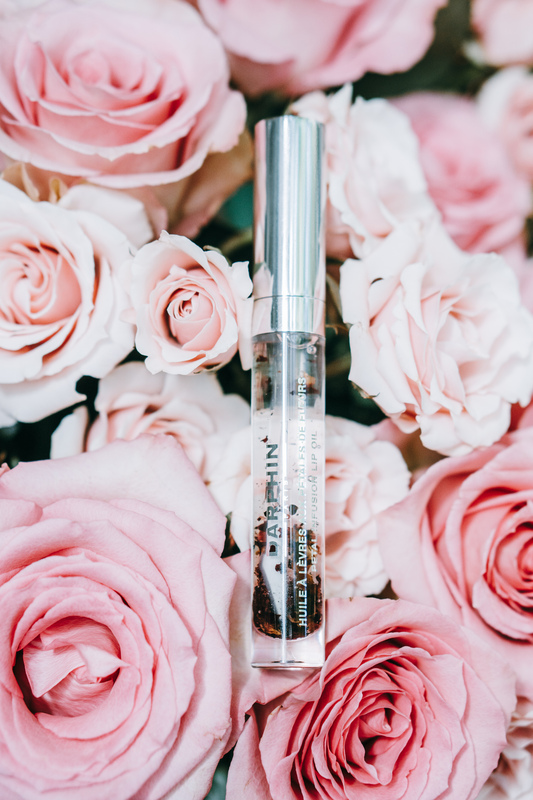 Upon application, Darphin Nourishing Rose Petal Lip Oil has a bit of a sticky feel to it that completely dissolves after distributing it on your lips. That thicker consistency actually ensures that the product nourishes your lips and protects them from dryness for hours after application. Formulated with natural vanillin and 100% natural flavors, these vegan and paraben-free lip oils are truly obsession-worthy and I recommend grabbing them for yourself and as gifts until the collection is completely sold out. Another product that I received in my goodie bag and already started testing is Darphin Intral Environmental Lightweight Shield SPF 50. This delicate mineral sunscreen features a slight tint to it and leaves the skin looking luminous and even-toned. I also noticed that this sunscreen product works perfectly well with my everyday foundation, adding a bit of dewiness and glow to my otherwise matte complexion. The great news is also that this mineral sunscreen didn’t break me out and worked perfectly for my sensitive around the nose area. 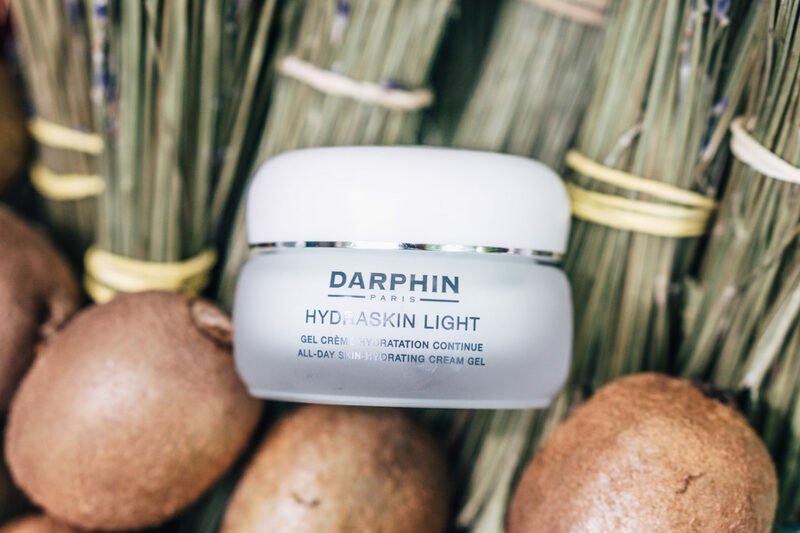 I already knew about Darphin HydraSkin Light Cream Gel as I’m always on a lookout for a non-greasy gel moisturizer for my combo skin. And by the time I went to the event, I already knew that non-comedogenic everyday hydrator is something that I’ll be recommending to my readers for years to come. Now I’m always on a lookout for a great eye cream. 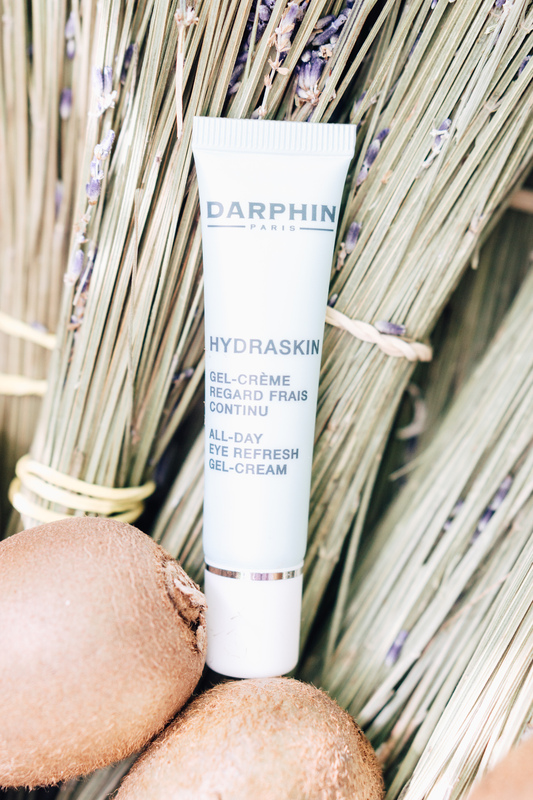 And since I’m already a fan of Darphin HydraSkin Light Cream Gel, an eye cream from the same line seems like an obvious pick to try. And now a few words on new exciting products that I spotted at the event, but didn’t have a chance to test yet. Lumiere Essentielle Instant Purifying and Illuminating Mask caught my attention as it combines two masks in one jar which makes it incredibly convenient to grab for traveling. 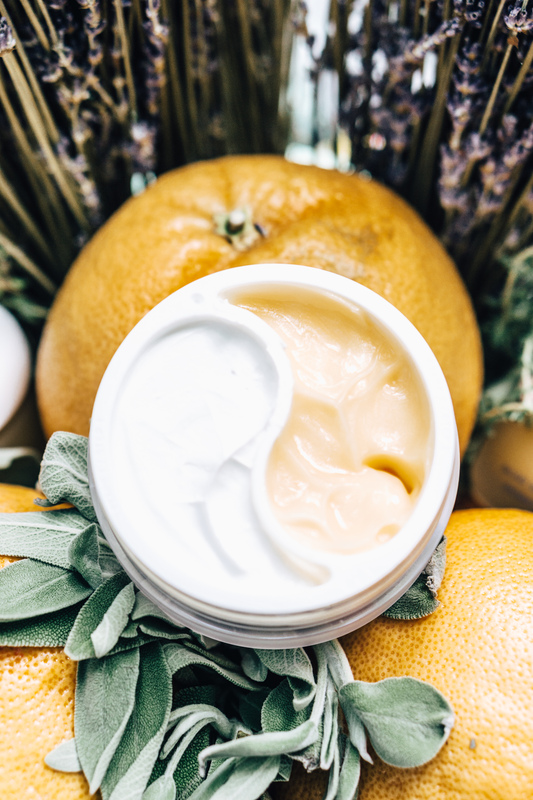 Usually, my skin struggles either with dryness or breakouts after a long flight, and you can address both issues respectively by picking one of the masks that comes in this yin and yang style mask package. I was also excited about Lumiere Essentielle Illuminating Gel Serum that features a unique formula of micro-capsulated essential oils. The serum’s consistency while in a jar reminds me of a finely melted caviar—but when it’s on the skin, it turns into a classical serum consistency. I’ve heard great things about the glow people are getting with incorporating this product into their routine and I’m definitely keeping this launch on my radar. Having a blast at the Darphin x Laduree event, I have another exciting thing to announce! After the event, I was interviewed by Glossy about this fabulous launch—so if you are interested, check out the article via this link. Meanwhile, please let me know in the comments if you ever tried Darphin products. If so, what are some of your favorites? I really look forward to hearing your recommendations! Previous Post Hotels vs House Rentals – What Is Better?